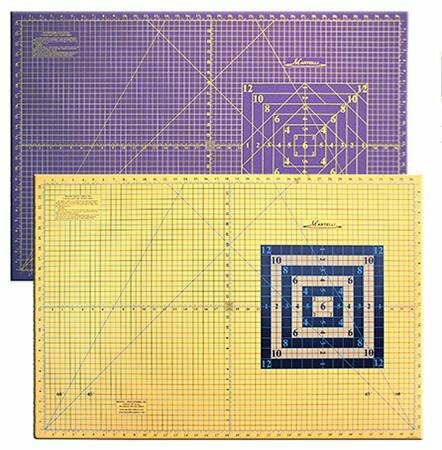 Made from the highest quality commercial grade material, these double sided, color contrast mats are highly durable with a self healing surface that actually repairs itself. Designed for both left and right handed individuals. Double sided for extra longevity. Has a dark and light side to show the contrast in colors of the project you are working on. Marked with 12" gridlines, 18" increments along the edge with 45, 60 & 90 degree angles, with clearly detailed cutting graphics. 26"x38".